As I photographed this scene – I recalled standing and waiting for a trolley on a rain soaked Vancouver afternoon. 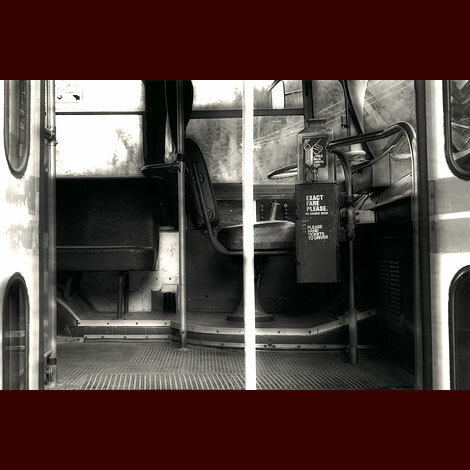 As the bus pulled to a stop – its accordion doors would awkwardly fly open – revealing a warm and dry, albeit often crowded space to carry me to my destination. I have used art glass in the enlarger light path for this photograph – to imply subtle motion and texture.